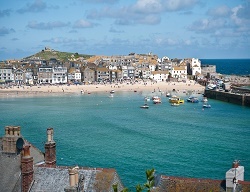 What can we say about the beautiful area of Cornwall that everyone doesn’t already know. It’s a perfect place for a family holiday due to the abundance of beaches, resorts, shops and not forgetting some of the UK’s best weather. It’s the perfect place for any break. Enjoy some of the wonderful spa day venues we have hidden away for your enjoyment, either on your own or with loved ones. From The Bedruthan Hotel & Spa located in Newquay - perfectly positioned overlooking the ocean, it is idyllic for a spa day or overnight spa break. Don’t forget The China Fleet County Club, burrowed away in Saltash in the Cornish countryside - it offers an elegant spa area, ideal for relaxing away for the stresses and strains of everyday life. The St Michael’s Hotel & Spa is next to a wonderful sandy beach giving you plenty of things to do and see whilst on your spa day. If you can’t find your perfect spa day in Cornwall, have a look at our other counties in the South West, all full of amazing spa day deals. A spa day gift voucher would be warmly received by any loved one.